The Good Companions Hotel, built in 1937. It was opened by Jessie Matthews who starred in the 1933 film "The Good Companions", based on the novel of the same name by J.B.Priestly. It was demolished c2000. Lovell Court is now on this site. Another picture of the Good Companions. 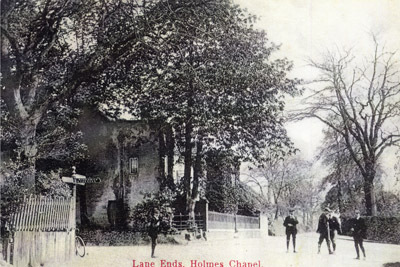 Lane Ends, the junction of London Road, Station Rd and Chester Rd with Lane Ends House to the left. 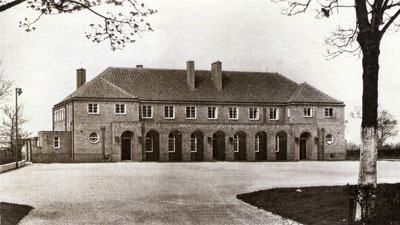 The house was built c1680-1700. 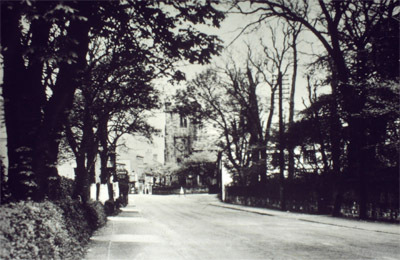 It was demolished c1939 for road widening. 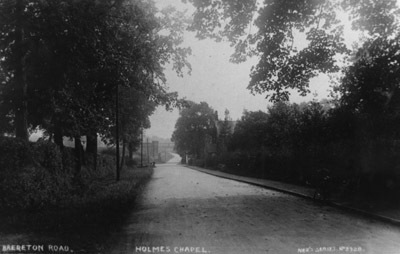 View of Holmes Chapel looking towards St. Luke's Church. 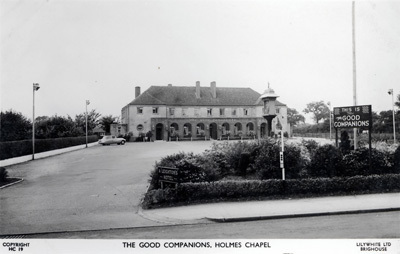 The Hollies, built in 1870. 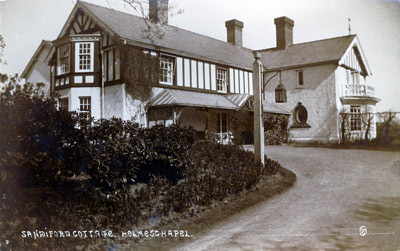 It was extended to become the Holly Lodge Hotel during the 1970's. Bernard Court is now on this site. 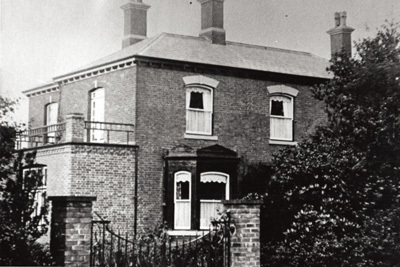 Sandiford Cottage, built prior to 1888. The firestation and the Precinct shops, built in the 1960's, stand on this site. 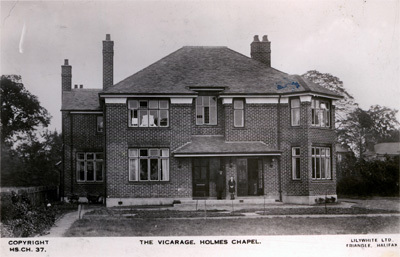 The Vicarage, London Rd, built in 1930, dedicated on 16th July 1930.